Bill Trudell lost interest in exercise until he face-planted on a mid-life crisis. Learn how the gym changed his life. Having a reliable support system is often crucial when one is trying to make a big change in their life. For Bill and Lavinia Trudell that support came from each other. Bill let the hard times get the better of him and began to drink as an escape. He knew that he was on the fast track to self destruction and turned to fitness in order to save his life. 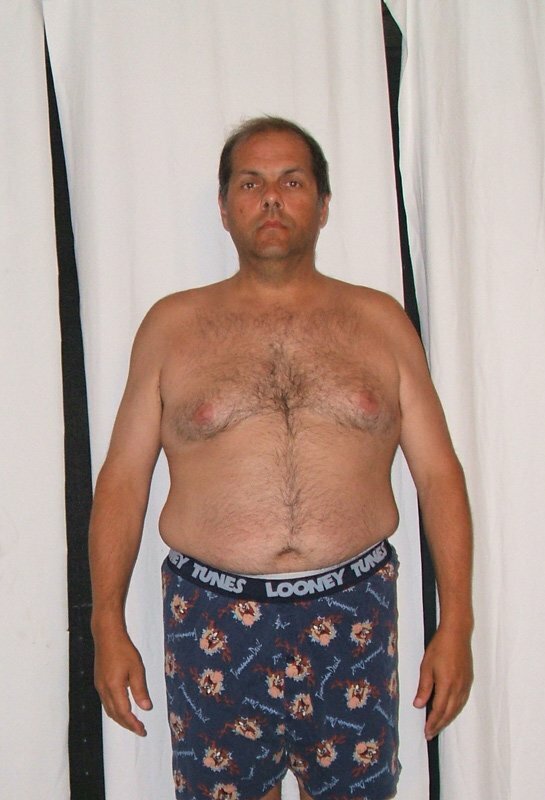 With help from his trainer and his wife, Lavinia, Bill was able to shed 89 pounds. Read on to see how Bill turned his life around and check out Lavinia&apos;s transformation story Here. Growing up fairly heavy, verbal and physical abuse was common throughout my younger school years. 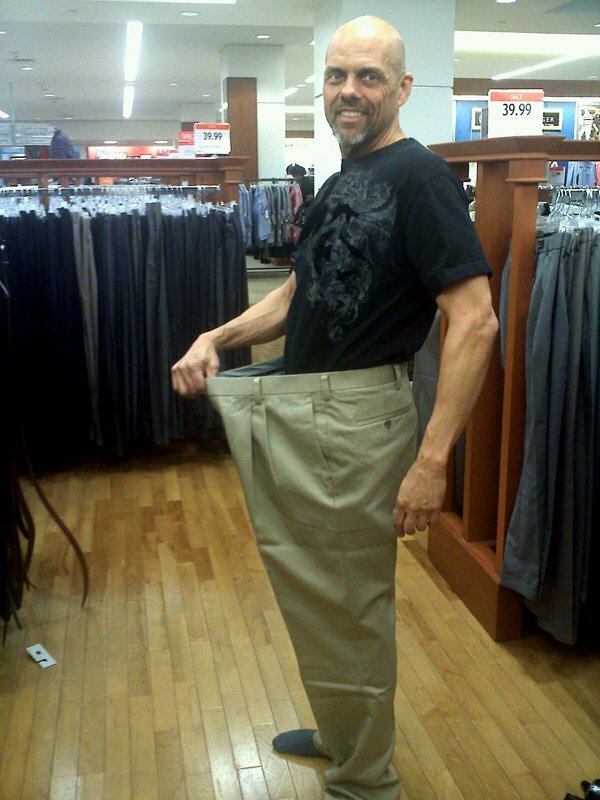 Frequenting the weight room in high school, I experienced some weight loss. When "Rocky" came out, all the guys were doing one-armed push-ups, I was no exception. The muscle magazines at the time featured Arnold, Franco Columbu, Frank Zane and Mike Mentzer, all inspirational giants. Marriage at age 25, followed by children, and I lost interest in exercise. However, the idea of getting into shape and entering a bodybuilding competition by the age of 50 was a personal dream. Exercise was sporadic for 20 years, playing some racquetball but little else. Later, at age 45, my marriage failed and I turned to alcohol to ease my grief. My drinking became a major problem, after an arrest, I started on the road to sobriety. 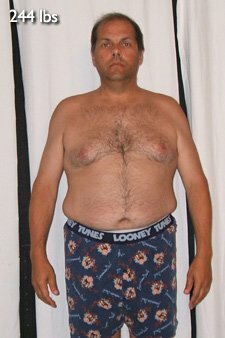 At this point I was probably 245 pounds at 5-foot-10, April 2008. A gym membership provided some escape from a destructive lifestyle. A friend had started his own transformation and I committed myself to the same, determined that age would not be an obstacle. I began working out regularly a few times a week. In July 2009, I entered the Chase Corporate Challenge race, a 3.5-mile event and finished with a time of 34 minutes, I was starting to desire a healthier lifestyle. A friend had started his own transformation and I committed myself to the same, determined that age would not be an obstacle. From my teen years in the high school weight room, owning a power-rack or squat rack held some mystique. Finding one on Craigslist, along with an Olympic set of weights in November 2009, my basement gym started to take shape. A wonderful woman, "Vinnie," came into my life. She is an early riser and I was a night owl. We began rising early, working out 4-to-5 times per week, but without real direction. Natural foods, complex carbs, vegetables, fruit, and lean meats became part of our diet. Soft drinks and diet drinks were removed from our diets, and to a large part the same was true for our children. In the spring of 2010, running almost daily, first 3 miles and then 5 miles, I entered the Corporate Challenge setting a target time of 28 minutes and finishing in 27 minutes. At that time, Vinnie learned of a bodybuilder trainer, Mike Catalano, from a coworker. 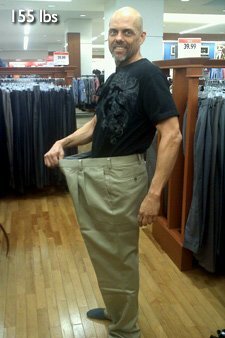 Mike was interested in helping me, since at that time I had already lost 60 pounds. He recommended a 6-day per week program, one body part per day, which works great for me. That was July of 2010.
week, but without real direction. I have not missed my six workouts in a week since that time. Some weeks though, I had to do 2 workouts in a day. After 6 months of training, Mike challenged me to step up my program and compete in the Masters 50+ in the Mr. Buffalo 2011 competition. Since it was a life-long dream, he assured me it was achievable if I continued to work hard and lock my diet in. The competition is April 2, 2011. I am beginning to see my abs. I am down to 155 pounds and will do my best to be as ready as possible for this competition. My life and outlook has been completely transformed. My progress has been gradual, but the changes made have been permanent. I am healthier, stronger and more alive than ever. I have more energy than I know what to do with. I am thankful to my family, friends, significant other Vinnie (also a transformation story), my trainer Mike Catalano and sister-in-law and anti-aging expert Dr. Leila Kirdani for their support in helping me achieve my dreams. This is a sample program for a week of training. Exercises are varied, but some are always a part of my weekly routine like squats, deadlift and bench press. I set a goal of 15 reps for each exercise. Commit to a program you enjoy doing. Strive for no misses and no excuses. Work on progressive improvement, but also consistency. Pay close attention to what you eat and how much, it&apos;s easy to underestimate. Listen to positive messages from various sources. Look for motivation, even in disappointment and use that energy to move forward.